Get a quality 8′ x 24′ construction trailer for less when you get a quote from one of our suppliers or affiliates. A new project needs on-site administrative supervision on a short-term basis and we can help you locate the perfect job-site office trailer, fast. At US Construction Trailers, we’ve helped healthcare, government, and construction owners with our mobile office space rentals. No matter what your mobile office needs are or how long those needs will last, we can find the right fit for you. No other company makes it easier to increase the efficiency of your job-site project. Add convenient, comfortable work space solutions where you need it! Choose from single or double wide office trailers—you can even customize your trailer to fit you specific needs. Contact us today for an ideal solution to better manage your job site projects for your business or organization and compare up to five free estimates and save. Ask about fast free delivery of 8’x24′ construction trailers, customer ad-ons, and how to get the best price from suppliers that serve locally and nationally with a comprehensive inventory of mobile office solutions. 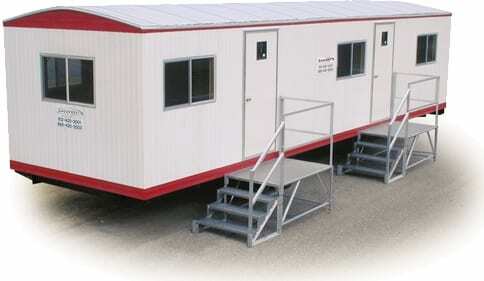 job trailers help you create a job site office that’s as durable as it is practical. Quality job-site trailers and mobile office trailers are filled with features and structurally sound for and and all needs.